An ultralight technical layer that stuffs into its own chest pocket, the Second Light Pullover is perfect for biking, trail running, or stashing in your pack while cruising around the city. Cut wind on the bike commute, the trail or summit ridge in the Second Light Pullover, a streamlined, technical top that’s made for blocking the elements. Designed with ultra lightweight Meridian™ stretch mini-ripstop fabric the Second Light is so packable you can conveniently stash it inside its own chest pocket. Finished with a highly weather-resistant PU coating, reflective tabs for added visibility, two zippered pockets to stow essentials and thumbholes to secure cuffs, it's the perfect stash shell. Meridian™ is a 20 denier Mini-Ripstop Nylon with mechanical stretch by construction. This extremely breathable fabric maintains a high rate of air permeability, while a DWR coating offers exceptional weather resistance. 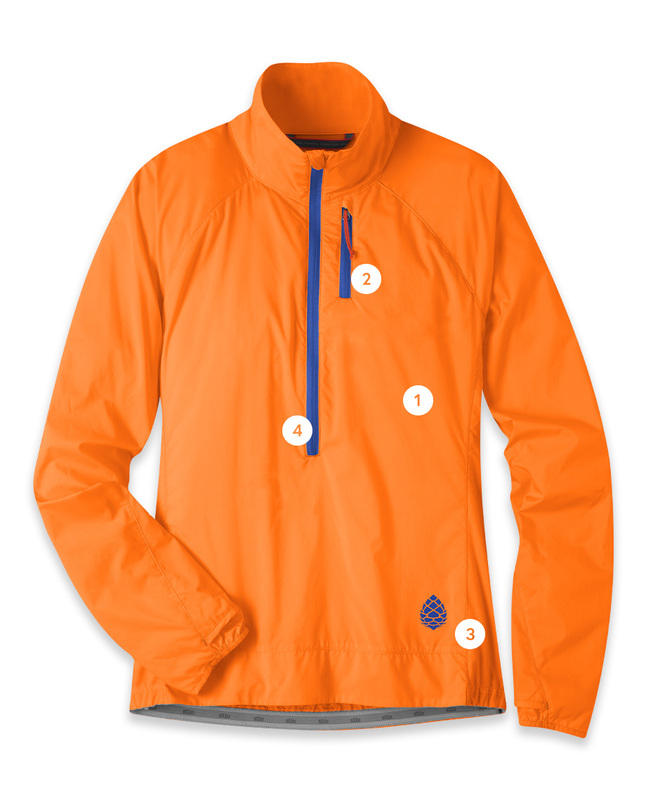 An ultralight weather-resistant layer for mountain trails or urban adventures.